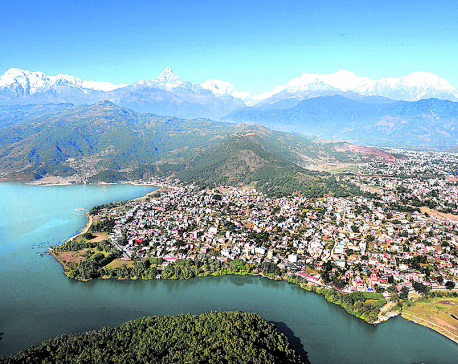 KATHMANDU, May 1: Pokhara Lekhnath Metropolitan City has compiled details of individuals involved in illegally constructing structures on the shores of Fewa Lake. 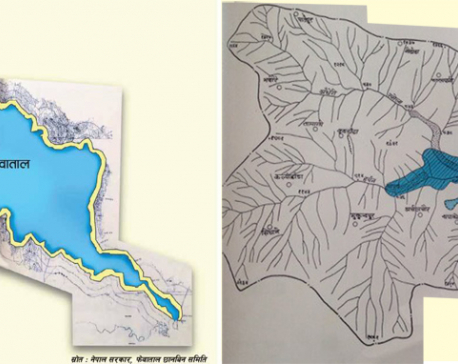 Fewa Lake Conservation Project under the metropolitan city has collected the details of individuals involved in constructing the structures on the lake shores and details of the structures themselves. As many as 204 structures were constructed illegally on lake land, according to the report. Noted tourism entrepreneurs, medical professionals, hoteliers and civil society leaders are among the 900 individuals and entities named in the report. Tourism entrepreneur Karna Shakya is also in the list. His two-story Water Front Resort is found constructed on encroached Fewa land. The resort hotel located at Sedi Danda of the metropolitan city breached criteria set for construction around the lake, states the report. Dr Jagdishlal Baidya, a surgeon, is also in the list of encroachers. He has constructed a two-story hotel at Khapaudi. Another tourism entrepreneur, Kali Bahadur Pariyar, encroached 65 meters of the lake area while putting up a hotel at Barahi. The report shows that Taragaon Hotel at Dam Site, the guesthouse of the metropolitan city, the office of the Tourism Board, Nepal Police barracks, Ratna Mandir, Lek Resort at Sedi, Narpis Hotel, Duna Tapari, and Viewpoint Restaurant at Khapaudi were also found constructed in breach of criteria set by the metropolitan city. The late hotelier Piyush Bahadur Amatya is likewise in the list of encroachers. Republica had run a series of stories against the encroachment of Fewa Lake and social activists had been launching a campaign for the conservation of the scenic lake. Responding to writ petitions in this connection, the Supreme Court on Sunday ordered the government to demolish the illegal structures and conserve Fewa . A division bench of Justices Om Prakash Mishra and Sapana Pradhan Malla issued the order in response to six separate writ petitions filed over the past seven years in connection with Fewa conservation. The court also asked the government to implement the report prepared by a panel led by Bishwa Prakash Lamichhane, former Pokhara Valley Town Development Committee chairman. Pahari urged stakeholders to demolish all illegally constructed structures. Lamichhane for his part said the court order has paved the way for implementing the committee’s report. “It’s time for the government to prove its mettle,” he said. 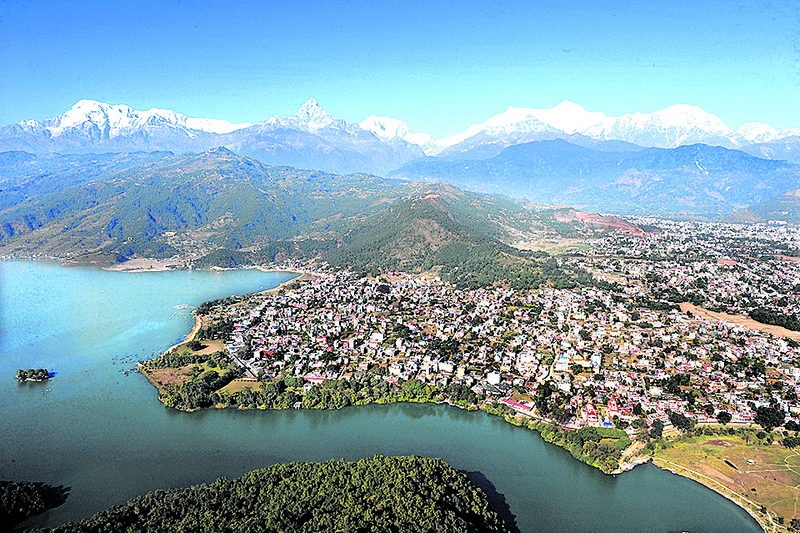 The probe led by the Lamichhane panel had shown that well-connected people encroached 1,692 ropani of land and breached housing reconstruction standards set by the metropolitan city. Although the metropolitan city requires houses to be built not above 24 feet, locals are building high rises of late. As many as 500 houses are said to be in breach of the building code. Not constructing any structure nearer than 65 meters from Fewa Lake is also part of the building code that locals have not abided by, it is learnt.